from stay-at-home moms to corporate boss ladies, every woman deserves to have an at-home bath sanctuary, and a budget shouldn't hinder that! in a new bath remodel, there are certain places you can splurge, and places you can save in order to get the spa space you deserve without busting your budget. faucetry: there is an impossible amount of brands and fixtures on the market, and it's easy to get overwhelmed when choosing fixtures. if you're not working with a designer or if this is your first remodel, looking at a $50 faucet vs. a $500 one, it can sometimes be difficult to justify the price without prior research or understanding. however, if you're going to splurge anywhere in your bathroom, this would be the place. brass (faucet) prices are priced according to quality. products from a big box store like home depot or lowe's will often have parts that are manufactured in china or are made out of lesser (plastic) materials. though you don't have to compromise on quality, you can still find a faucet that can fall within your price range from a quality brand. opting for a centerset style vs. a wideset one will be less expensive, and entry level chrome finishes are as much as 30-40% cheaper than other finishes on the same plumbing. ultimately, when you install good plumbing during the first round of installation, you'll save some significant money by not having to replace parts every 3 years. this is the one area I would recommend investing the most into - make sure you get quality! bathing experience: the most important part of the bath - the actual bathing experience! here you can add or subtract as many features and luxuries as you want. 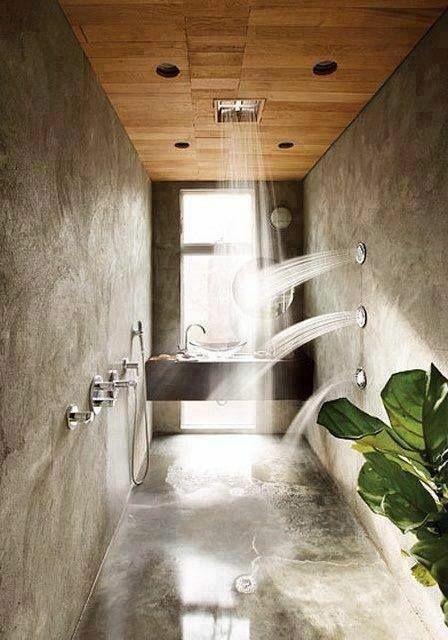 straight forward enough, a separate bath and shower is going to be more costly than a shower in an alcove bath. a jacuzzi tub will be more than a regular tub. a steam shower will require much more construction work and costly equipment. multiple shower heads vs. a single head will require more plumbing and thus be significantly costlier. these are all things up to you to decide when planning and won’t all break the bank, but can save some dollars if your budget is tight. construction: depending on how much work you're able and willing to put in yourself, you may be able to save a lot in the realm of construction. hiring a contractor will keep you from having to deal with the coordination and sourcing of materials, as well as ensure that the project is on time for completion. with more seasoned workers, the labor can also be done in a timelier manner. unfortunately, this can be a large price spend. as a large financial bonus, acting as your own contractor or project coordinator puts the purchasing power in your hands, meaning that you can purchase at your own rate instead of all/half up front. additionally, some contractors mark up the price of fixtures up just for doing the work - and won't allow you to buy on your own. if you do the purchasing yourself, you can save some serious dollars. tiling: tile can be an element that you can majorly splurge on, or save a ton on - if you're willing to put in the work of finding the values! an extremely low-end tile will generally have a greater quality variance and is much more of a gamble, whereas a mid-range tile is much more consistent. on the higher end of the tile spectrum, you’ll not only get guaranteed quality and consistency, you can get real materials such as natural stone or mosaics which add an extremely impressive design touch. when working on a budget, you can certainly make a great design impact without the great design pricetag. unless you’re dead-set on a certain luxury tile, this is a great place to start when slicing your budget. a great example of a semi-custom vanity; add a filler strip to the wall and add a toe kick for a fully custom, built-in look. vanity/cabinetry: cabinetry prices can vary as much as your cabinetry needs. there are three types: pre-made, semi-custom, and custom. pre-made options, like those online or from big-box stores, are great and budget-friendly if you're looking for a standard size vanity. semi-custom vanities allow you to choose your configuration, size, finish and style to fit your needs, but only within certain perimeters. semi-custom vanities and cabinetry are made to order and usually high quality, but have a more limited range of options than a fully custom cabinet fitting. fully custom cabinetry offers a wider range of the aforementioned - style, finish, size, configuration. when considering cabinetry, pre-made is going to be the most cost-efficient and have virtually no lead time, depending on where you order from. Semi-custom vanities have a longer lead time and are pricier, as they're still made-to-order. custom cabinetry is going to be the highest cost, and have the longest lead, as everything is made to order and nonstock. in the cabinetry category, don’t assume you get what you pay for. you can get a very high end pre-made vanity at an extremely affordable price, while you may end up getting ripped off on custom cabinetry. right after tile, consider cutting cost on cabinetry to save some serious dough! miscellaneous features and finishings: luxury options and premium upgrades are endless when it comes to bath design. to name a few, digital showers that recreate spa experiences, integrated sound systems, heated floors, lighted mirrors, automated aromatherapy, integrated tvs, and more. If you’re dying to have one or more of these, consider cutting back in another area. for example, choose a pre-made vanity and spring for the heated floors! choose a lighted mirror on a dimmer switch instead of a touch mirror. These small considerations add up quickly in terms of cost, and can salvage a what seems to be broken budget! do you have experience working with tight budgets or bath remodels? how did you manage? Sound off in the comments! sign up to receive delightful inspiration, design news, and exclusive offers from the delight of design, straight to your inbox. thank you! we’re so excited to delight your inbox.